You really aced this one!! You are sharp-eyed and insightful. Your highly-developed spelling skills set you apart from 99.9% of the population. You have a superior ability to reason and a very vivid imagination. Your vocabulary is rich and extensive, and you have a heightened sensitivity to your surroundings. Your score also exhibits a great deal of curiosity and intellectual playfulness. 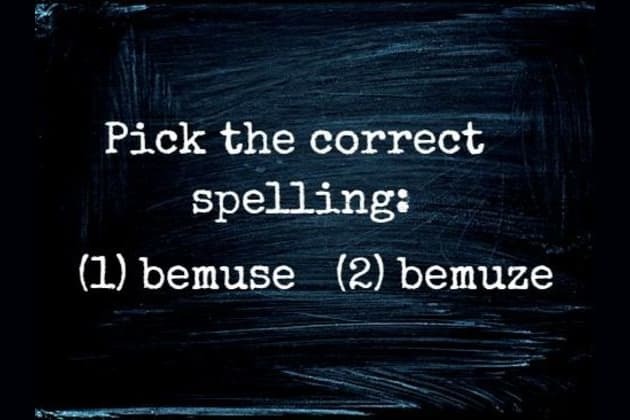 Share this difficult spelling test with everyone you know. Only 2 in 50 people will score as high as you did. You totally flunked this spelling test! You must an eccentric artist. You constantly daydream, you think abstractly, and pay no attention to useless detail. Are we dead-on? Do people actually perceive you as a bohemian with unconventional social habits? Share the quiz to let us know. You are literally a genius if you get a perfect score.